Our Everett Military Divorce Attorneys are here to help you understand the law and your legal rights and options. While any divorce is an emotionally draining experience, a military divorce can add confusion while making the process even more cumbersome. This type of action is subject to both state laws and federal laws, so if you or your spouse are in the military and are seeking a divorce you should get some legal aid from our Everett military divorce attorneys. A person on active military duty is protected from being held in default if a spouse files for a divorce. This prevents them from being divorced without their knowledge or consent, since they would be unable to respond. This law is in place to protect their interests while they are actively serving their country. If a spouse is on active military duty, divorce proceedings can be postponed during their entire service period, and up to 60 days after its completion. However, the proceedings can go on in their absence if they are amicable toward the divorce and are willing to put it in writing. With so many complexities and variables, it is suggested that you discuss your situation with qualified Everett military divorce attorneys who have experience handling these tricky cases. These complex proceedings can only move forward after all of the legal criteria have been met. For instance, if your spouse does not have residency in Washington State you cannot file for a divorce in Everett. For Washington family court to hear your case, your military spouse must be stationed in the state and personally served with a summons and a copy of the divorce action. If there are questions concerning how property, retirement, and benefits might be divided during this process, our Everett military divorce lawyers can help you review these specific details. For questions involving child support responsibilities, keep in mind that support is calculated according to normal Washington State divorce laws. You definitely want to get the facts before proceeding with an order for a military divorce. You need to understand how the law applies to your circumstances, and our Everett military divorce lawyers can get you started via a free case evaluation. You can start getting answers in a confidential setting before making a commitment as to how you would like to proceed. 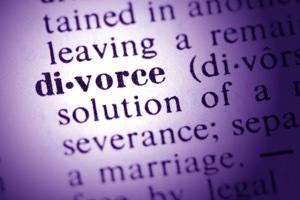 Going through a divorce is difficult, and so is making a transition into a new life. Don’t try to handle a military divorce alone. Contact our law office today and make sure you have all of the information you need to make the transition as simple as possible.